We love the Murphy’s. All of them. Chances are real good whoever is reading this knows one of them…or all of them. Peg Murphy has a home on Sisson Rd in Harwich. She also has five children, and now grandchildren too, so she needs space to accommodate this growing troupe. Luckily, when she moved from Breakwater Rd in Brewster to her current home in Harwich, she purchased a home with a walk-out basement. 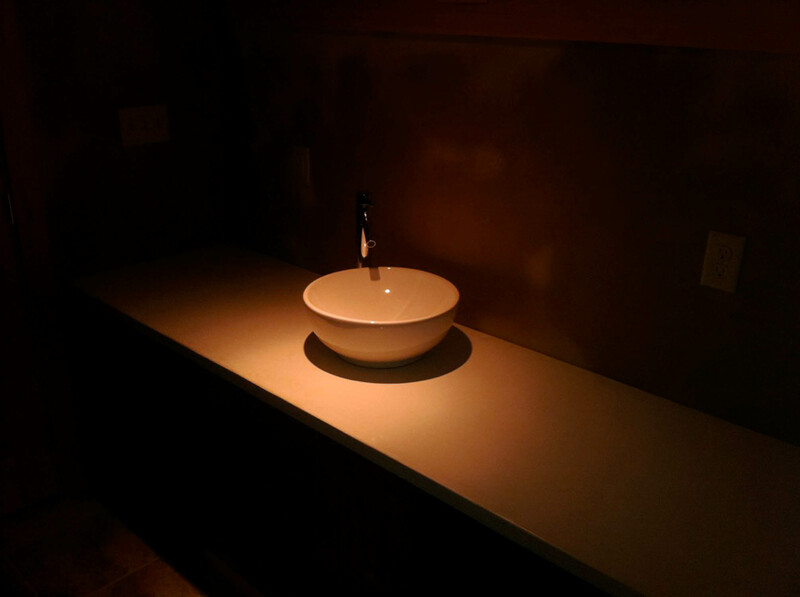 Natural clay…no drywall, no plaster, no dust, no sanding, no mess…. 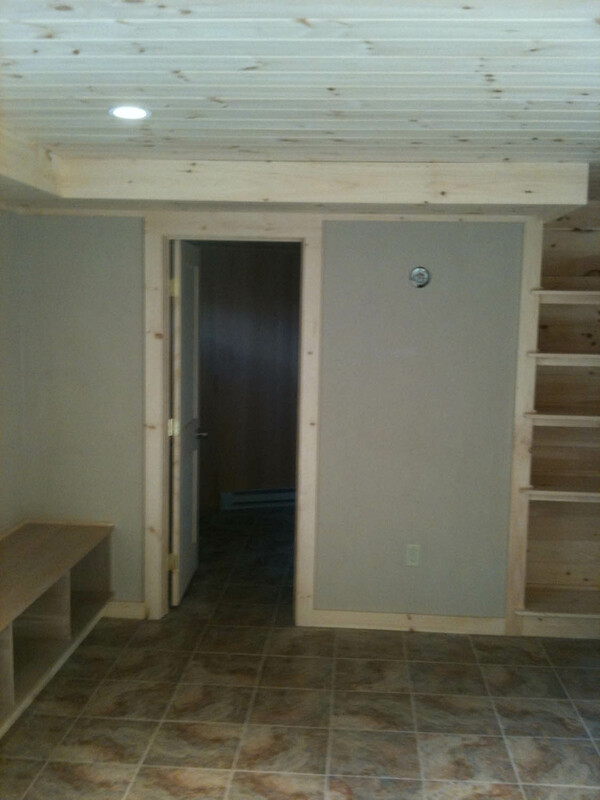 A big aspect of this project was that Peg would be living upstairs while we worked for a few months. 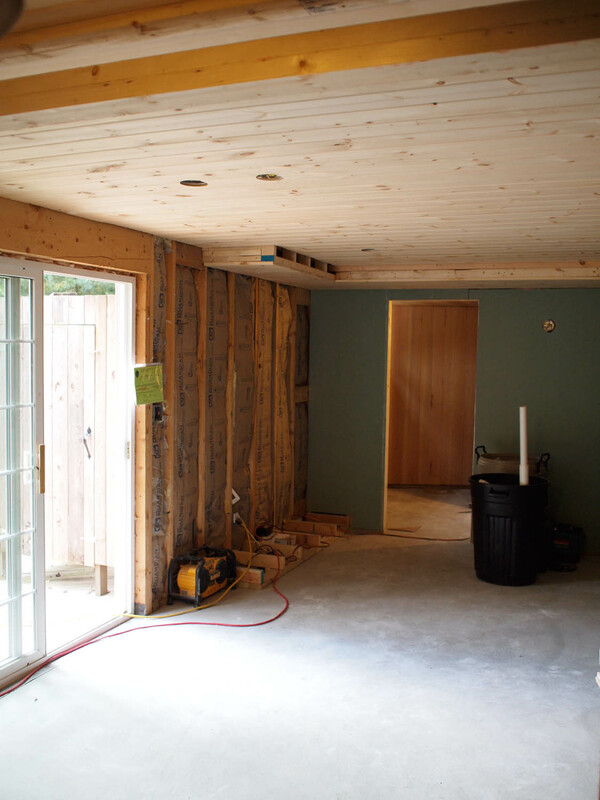 She didn’t want a mess, and she was turned off by the whole construction process she’d been familiar with of drywall, plaster, sanding, dust, paint fumes, and general-grossness that comes along with most projects. 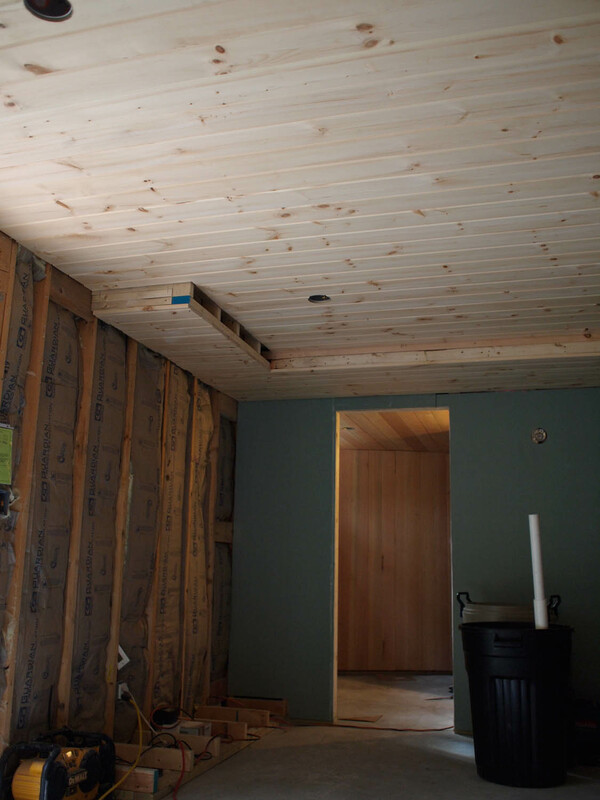 To avoid all of this, we used Eastern White Pine on the ceilings and coated them with a Vermont Naturals clear finish - a non off-gassing finish that will keep the wood its natural color. 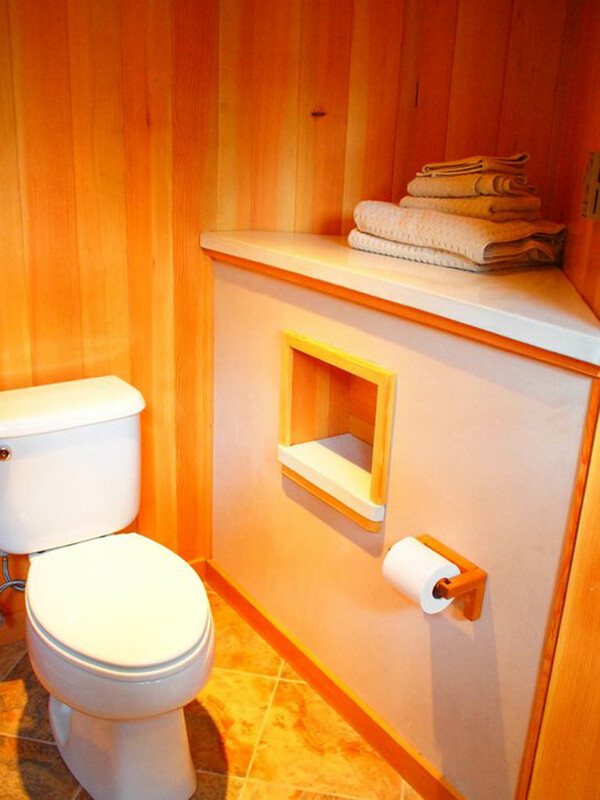 Often times, pine will turn yellow and gross over the years. Not so the case here. 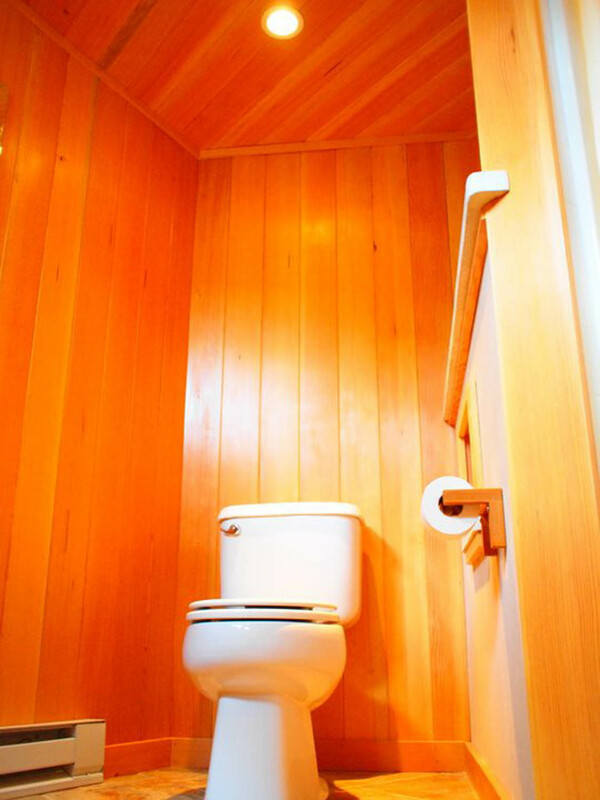 For the bathroom walls, we went with a fairly sturdier clear vertical grain Fir that will stand up to any water splashes. No sanding on the ceilings, no painting, no dust, no fumes. She said most of the time we worked she couldn’t even tell anyone was in the basement. (That may be because we’re also about the quietest crew of builders you’ll ever encounter when we’re working). 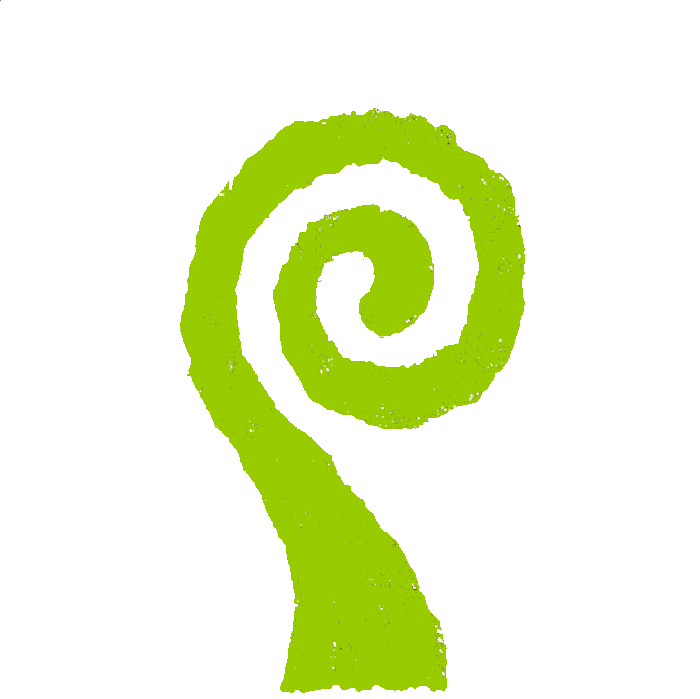 I’ve learned a lot about different forms and types of plastering through Yestermorrow, and I’ve also learned a lot about the natural-building movement via my buddies in Vermont and through the school. 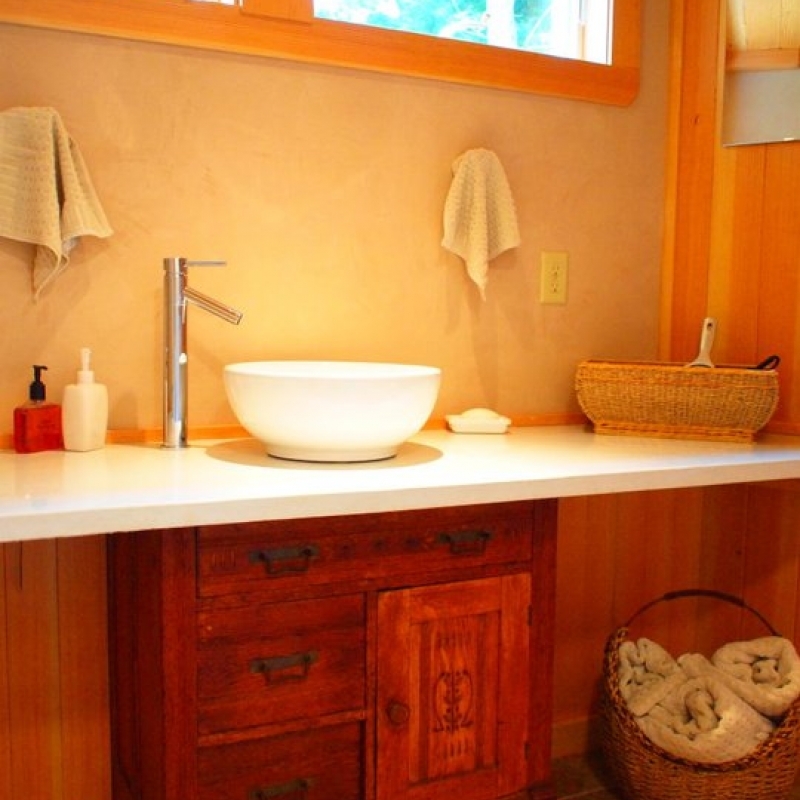 Most of what they build in the natural-building school-of-thought is Hay Bale construction, and the hay bales have to be finished with a natural plaster coating on the interior. Also, as part of our biodigester/composting-toilet compound in Mastatal, Costa Rica we had used mud and sticks for an interior/exterior finish. 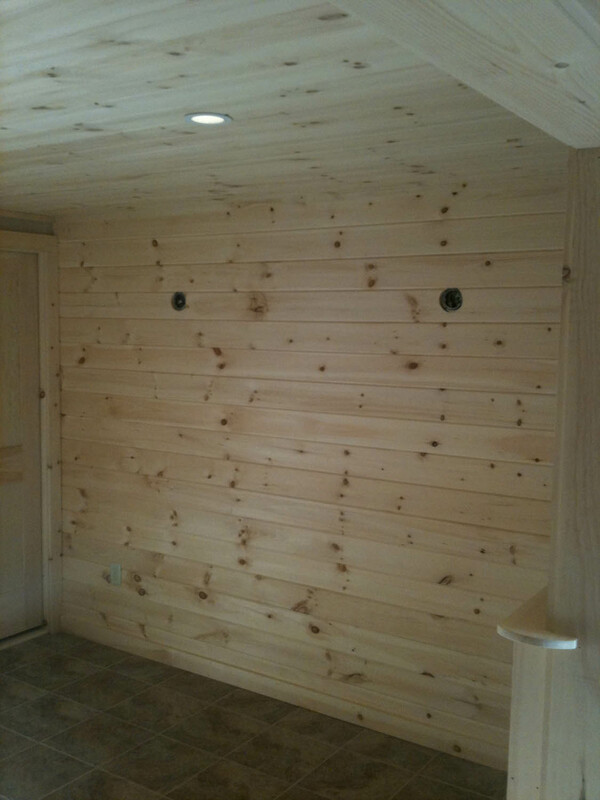 Combining all of this thought, and knowing we couldn’t exactly use waddle-and-daub for the interior wall finish of a finished basement in Harwich, Massachusetts…. 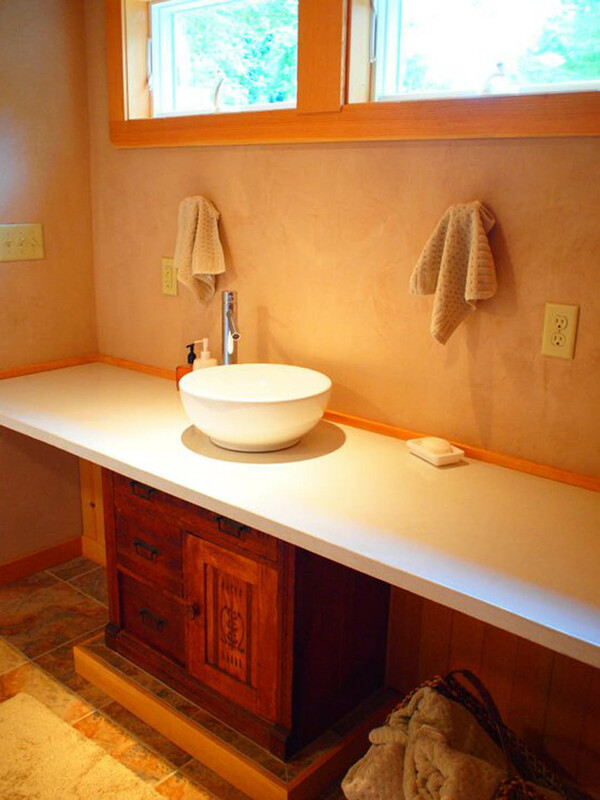 we used American Clay Natural Plaster. There was a bit of a learning curve for us in using this, but once we got rolling along it went super smoothly. Again, no painting, no sanding, no fumes, no dust. And it looks amazing. Apologies for the not-so-quality photos… this is from the Blackberry era, not the iPhone era.